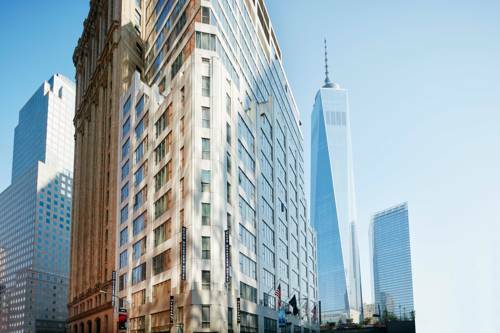 Club Quarters Hotel World Trade Center is located in the heart of downtown Manhattan with unfettered views of the new Freedom Tower and 9/11 Memorial and reflecting pools. A short walk to the Financial District and a wealth of downtown businesses - historic sites - and parks. Club Quarters is the best value for a full service hotel in a prime city center location. The View of the World Terrace Club is the onsite year round indoor outdoor rooftop restaurant offering modern American cuisine. Housed below ground in a decommissioned subway station, the city's transit history is told with signs, artifacts and old subway cars. ~3 miles from New York. ~4 miles from New York.